We supply and fit car batteries for almost any vehicle. We offer a free brake and alignment check on your vehicle. It’s completely free. Stuck in the office or work? We can pick up your car and drop it off wherever you are. Our qualified technicians will conduct an MoT inspection and a comprehensive series of checks on your vehicle. If your vehicle is in need of a repair we have the knowledge and experience to repair it. 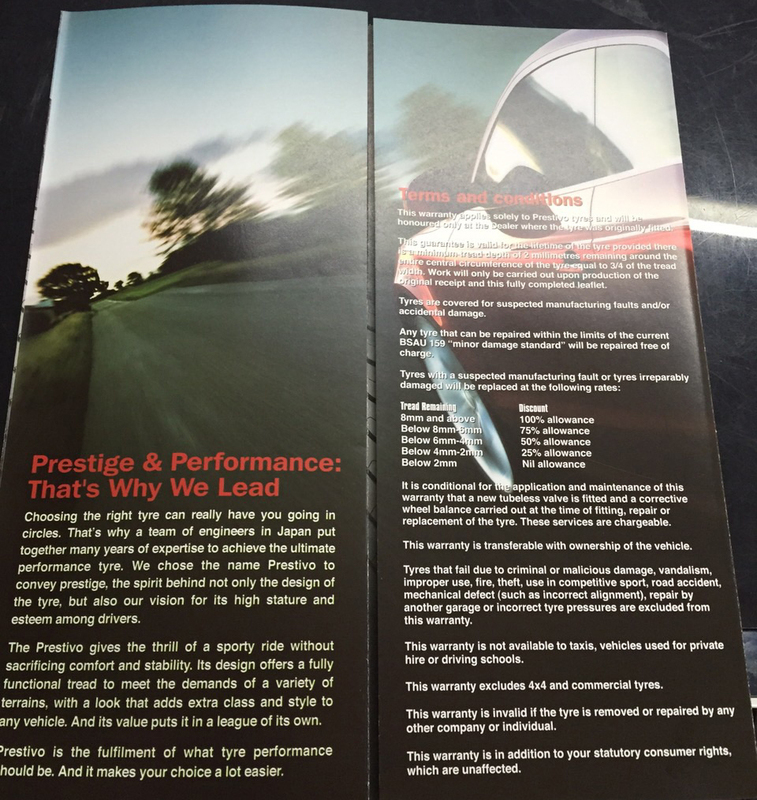 We are a fast-fit supplier of tyres from leading manufacturers. With over 25 years experience Budjet Tyres & Exhausts Warrington is a specialist motor garage providing a number of services for cars and vans. From cheap tyres Warrington and exhausts warrington to vehicle repairs and cheap servicing warrington, we strive to achieve a high level of service for all our customers, regardless of their needs or budget. At Budjet Tyres & Exhausts Warrington, we have a fantastic range of tyres available, from economy variants, to well-known brands such as Michelin, Pirelli, Continental, Dunlop, Bridgestone, Firestone, Goodyear and Avon Tyres. 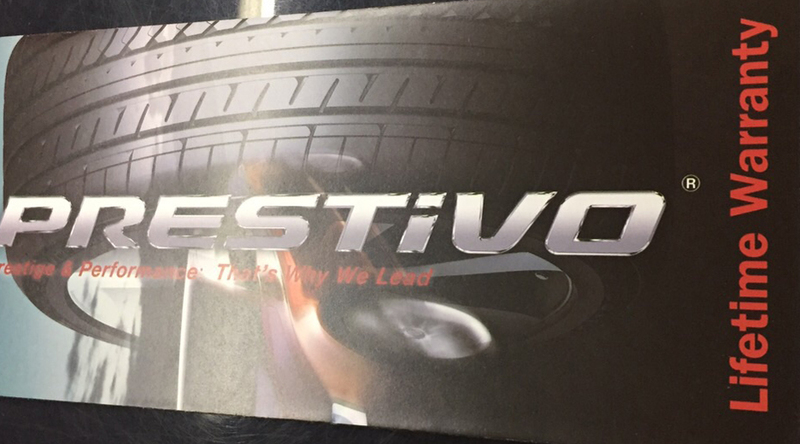 We also supply and fit good quality mid range tyres in Warrington from Prestivo, Nexen, Barum, and Event. In addition to our main services of tyres and exhausts, we are experts in vehicle repairs including brakes, exhausts, MOT warrington, MOT repairs warrington, servicing warrington, wheel alignment warrington, suspension and batteries. We provide all the products and services you will need to keep your vehicle running smoothly, safely and legally, all at competitive prices. Our quality of service will ensure that your vehicle is as efficient as possible. So contact us now if you would like assistance with any of your motoring needs. Love the free pick up and delivery service. Came to my work, picked up my car, fixed it and then dropped it back off without me having to leave work. Brilliant! Great service, great prices. Fast and explained exactly what they did to fix my car. Would recommend. Needed a new tyre, used the tyre quote on their website and within minutes I had a response with a price I was happy with. Booked in, fitted, balanced and home all in the same day. From time to time we all experience this… a flat tyre! It always comes at the most inconvenient time and in the most inconvenient place! 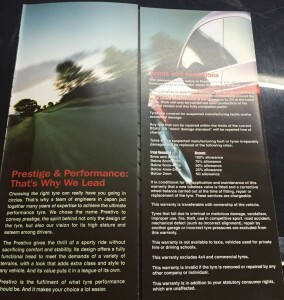 At Budjet Warrington we aim to help motorists out there understand their vehicles better. So, with the in mind… here is our step by step guide on how to change your car tyre. Step 1 Find a flat, stable and safe place to change your tyre. You need a flat, hard surface that will stop the car from rolling. If you are near a road, park as far from traffic as possible and turn your hazard lights on. Never change your tyre on soft ground or on a hill. Not only can this be dangerous but also will make your life a lot harder! Step 2 Apply the handbrake and make sure your car is in neutral. If you have an automatic, put your vehicle in ‘park’. Step 3 Take out the spare tyre, jack and locate your locking wheel nut(if you have one). Place the jack under the chassis of your car near the tyre that you are going to change. Ensure that the jack is in contact with the metal portion of your car’s chassis. You can do this by normally feeling under the car. You should feel a little lip facing down. If you don’t place the jack in the right spot, you could damage your car when you start lifting. If you’re not sure about the right place to put the jack, read your owner’s manual. For most trucks or older cars that have a frame, look to place the jack on one of the beams of the frame just behind the front tyre or in front of the rear tyre. Step 4 Wind the jack until it is supporting (but not lifting) the car. The jack should be firmly in place against the underside of the vehicle. Check to make sure that the jack is perpendicular to the ground. Step 5 Remove the hub cap(if you have one) and loosen the nuts by turning anti-clockwise. Some cars may have hub caps (plastic discs that cover the wheels) and some cars may have alloy wheels… If you have an alloy wheel here is where you will need your locking wheel nut. Start to loosen your nuts. Don’t take them all the way off; just break the resistance. By keeping the wheel on the ground when you first loosen the nuts, you’ll make that you’re turning the nuts instead of the wheel. It can take quite a lot of force to break your wheel nuts free. If all else fails, you can use your body weight or stamp on the wrench (be absolutely certain you are turning it the correct way – anti-clockwise). Step 6 Wind the jack to lift the tyre off the ground. You need to lift it high enough to remove the flat tyre and replace it with a spare. Step 7 Remove the nuts the rest of the way. Turn them anti-clockwise until they are loose. Repeat with all wheel nuts, then remove the nuts completely. Step 8 Remove the tyre. Place the flat tyre under the vehicle so in the event of a jack failure the vehicle will fall on the old wheel, hopefully preventing injury. If the jack is placed on a flat, solid base, you shouldn’t have any problems. The tyre might be stuck due to rust. You could try hitting the inside half of the tyre with a rubber mallet to loosen the tyre, or use the spare tyre to hit the outside. Step 9 Place the spare tyre on. Take care to align the rim of the spare tyre with the wheel bolts, then put on the wheel nuts back on by hand for now. Step 10 Tighten the nuts by hand until they are all snug. They should turn easily at first. Using the wrench, tighten the nuts as much as possible alternating which nut you tighten. To ensure the tyre is balanced, don’t completely tighten the nuts one at a time. Going in a alternative pattern around the tyre, one nut after the other, give each nut a full turn until they are equally tight. Avoid using so much force that you risk upsetting the jack. You will tighten the wheel nuts again once the car is down and there is no risk of it falling. Step 11 Lower the car to the ground fully and remove the jack. Finish tightening the nuts and replace the hubcap if applicable. Step 12 Put the old tyre in your boot and being it to Budjet Warrington. We can the quote you on a repair job if it meets the legal repair requirement or quote you on a new replacement. Small punctures can usually be repaired for less than £15. 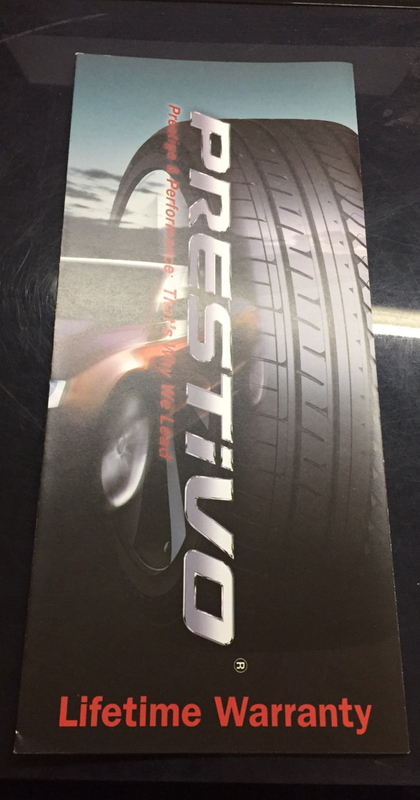 If the tyre is not repairable, we can dispose of it properly and offer you a replacement. 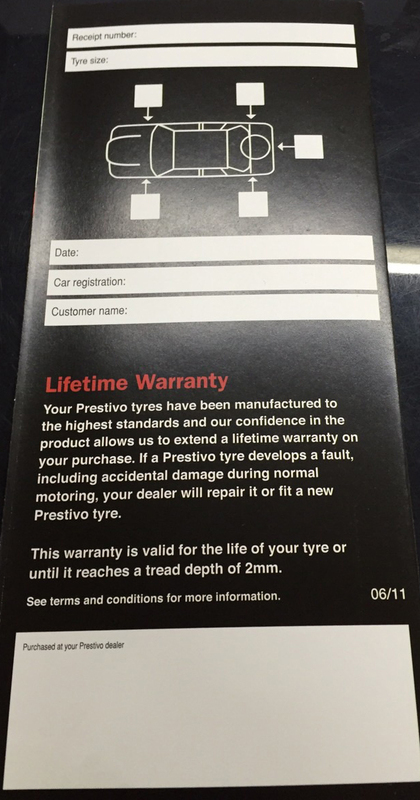 Did you know you can now get a lifetime warranty on tyre? Well, now you know! 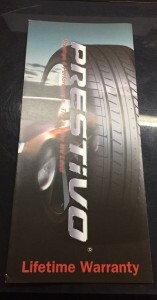 At Budjet Warrington we offer a lifetime warranty with all new Prestivo Tyres! Yes… it really is too good a deal to miss. We have uploaded some images from the manufacturer below for you to read for yourselves but why not give us a call on 01925 445 636 and we can tell you all about this amazing offer. 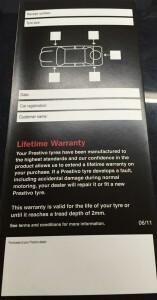 Call us now or drop in to ask about Prestivo Tyres Lifetime Warranty for your vehicle.